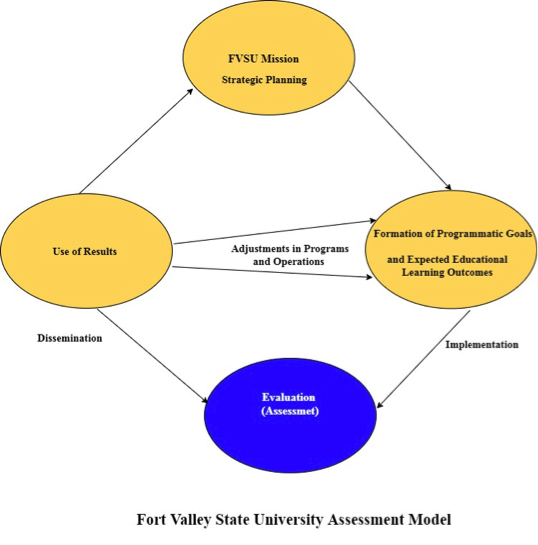 Institutional Effectiveness at Fort Valley State University is broadly interpreted as a sustained commitment to continuous improvement of institutional quality. Honoring this commitment, the University conducts routine evaluations and assessments of all programs, activities and personnel pursuant to the intent of the institutional mission as outlined in the strategic plan. Administrators, faculty, staff, students and stakeholders are actively engaged in the development and implementation of a systematic, broad-based program of assessment and evaluation. Academic degree programs, educational support and administrative units support the mission through the development of annual program assessments. Each assessment is anchored by “relevant” outcomes that are evaluated by a well thought-out planning and evaluation process. Data collected from these courses of action are used to improve programs and services.